It gives you a 7 day trial! Which is good... but if you don’t get the trial you only have 1 page in each library... I just think that’s messed up! They should have more free drawings! I mean I like it but... it doesn’t give my that creativity I want when all of the good ones are blocked for me! Btw I am a girl so don’t you dare call me a boy k? I mean you can call me a tomboy! Anyways, if you can please accept my requests! Have a good day! You really have to pay for a subscription.....to color a picture?? I got this thinking “oh! This will be fun! Let’s get it!” And then I couldn’t do most of the pages. 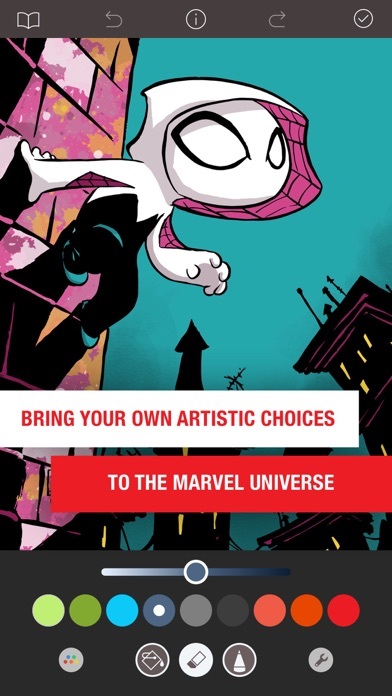 There’s only one page in each marvel subject thing that you can do unless you buy a membership thingy that I never got because it’s probably just not worth it. I honestly might delete it because it’s kinda useless. But that’s my opinion. I’m telling you this so that you’re aware. However, I have given this app several attempts and each time I have been left with a sour taste in my mouth and a growing impatience for the app’s development team. Clearly the app is aimed at kids but the subscription price is astronomical compared to what you actually get for the cost paid, and of course the kid isn’t going to realize that, so it’s easy, but oh, so very dirty money that the dev team is clearly not using to improve the app with! 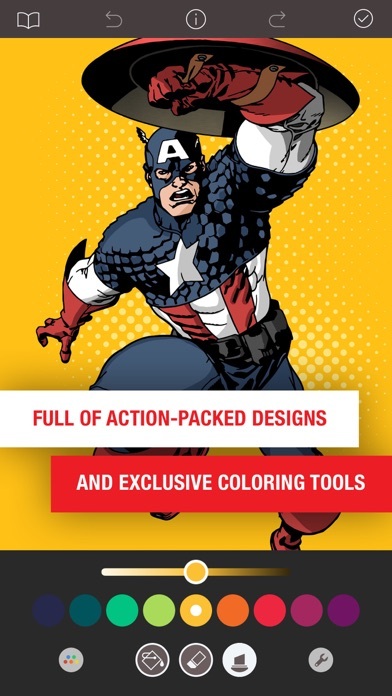 Save your money and frustration and just go to Amazon or Pinterest and search for Marvel coloring books. You’ll be spoiled for choice, and will save most (from Amazon by buying actual coloring books) if not all (by printing out the coloring book pages you find free from Pinterest, only sparing the costs of ink I suppose and crayons if ya kiddos need actual coloring implements and such) of your money as well as making your kid happy. 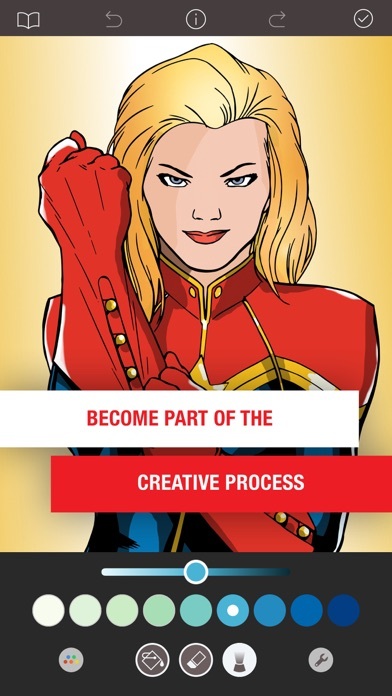 If they have any issues coloring with their hands instead of their fingers...well, that’s uhm...an entirely different issue that I am not qualified to deal with. Best of luck in making your kids color happy and in avoiding this scarily close to a scam of an app... I mean seriously...what would Cap’ say?! 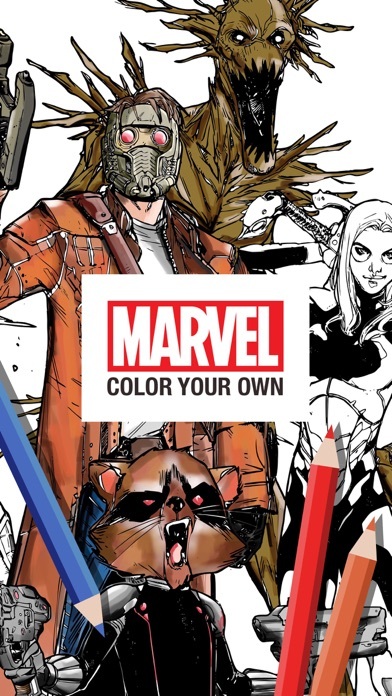 This coloring book application is a great concept for Marvel fans and those who grew up attracted to the medium. The app has content for both free users and much much more for premium. The content available is considerable ranging from Marvel Comic staples such as The Avengers, X-Men to unique entities as Star Wars. The app also contains a free trial for users so they can get an idea of what they would be paying for if they decided to sign up. 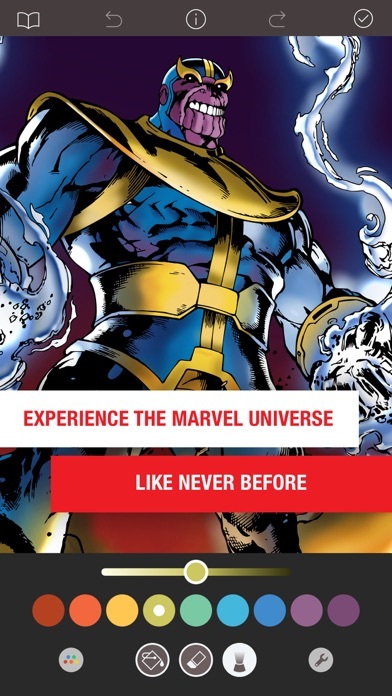 The app even contains articles from the Marvel.com site making it a bit of a news resource as well. Whether one decides to use the app to color once in a while or regularly it is well worth a download. Get App Store to access all 5 Stars!